Lung cancer. 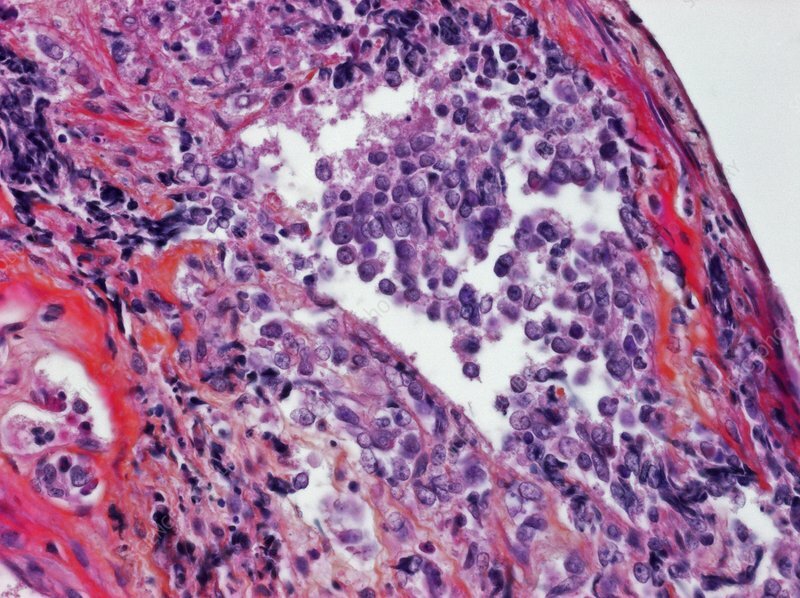 Light micrograph of a section through lung tissue affected by small cell carcinoma (SCC). Also known as oat cell carcinoma, this is an aggressive lung cancer that can rapidly spread to other parts of the body, often before diagnosis, and the prognosis is poor. Chemotherapy and radiotherapy help to prolong the life of the patient. Magnification unknown.